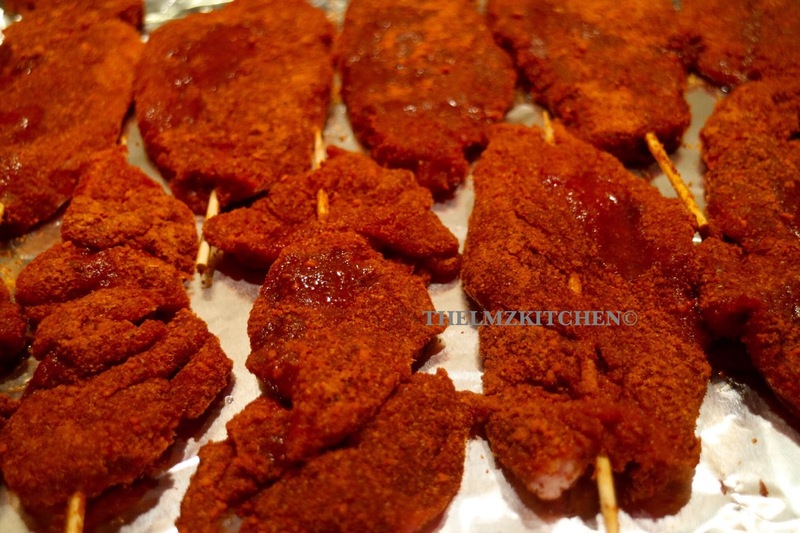 I have fallen into the trap of making suya often since I started buying Naija infusion suya spice. 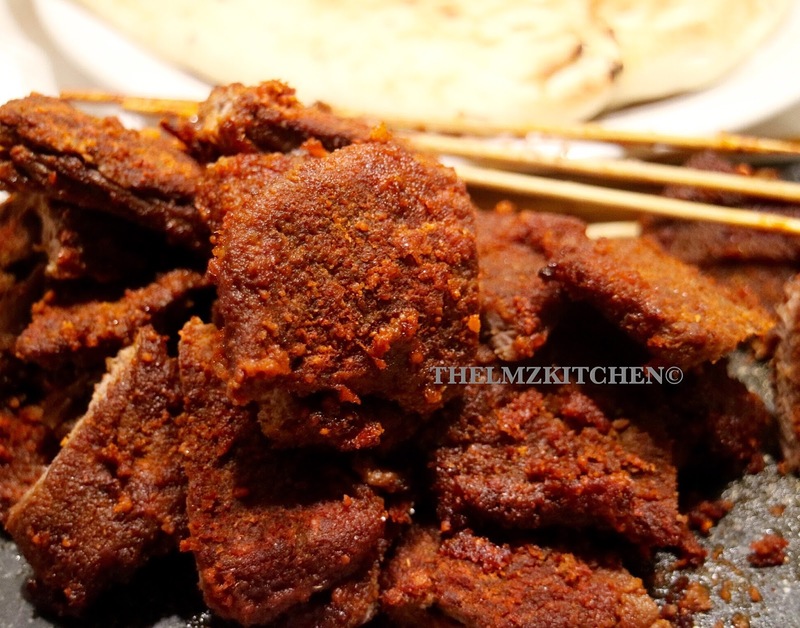 Suya is a spicy grilled meat said to have originated from the Hausa’s. The spice is made of peanut spice rub/peanut powder extract, alongside other spices. You can use your choice of meat, but I will be using Beef. Soak skewers in water for about 15 minutes, this prevents it from burning. 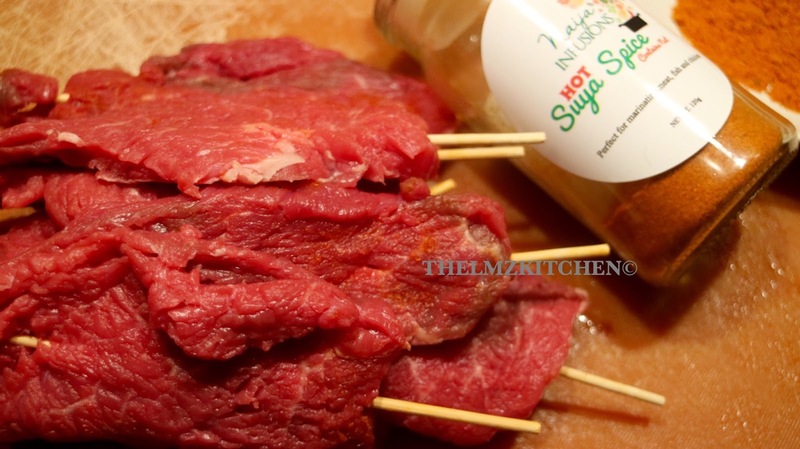 Wash your beef and cut into thin slices, I pat them dry with a paper towel, then thread on the skewers. I used beef with a little amount of fat so my meat does not get so dry. Line a baking tray with foil, drizzle oil on them and put into your oven or your outdoor grill. When it is done, take out from oven, cut into smaller pieces, and serve. Add your onions, cabbage, tomatoes etc. I enjoyed mine with naan bread. 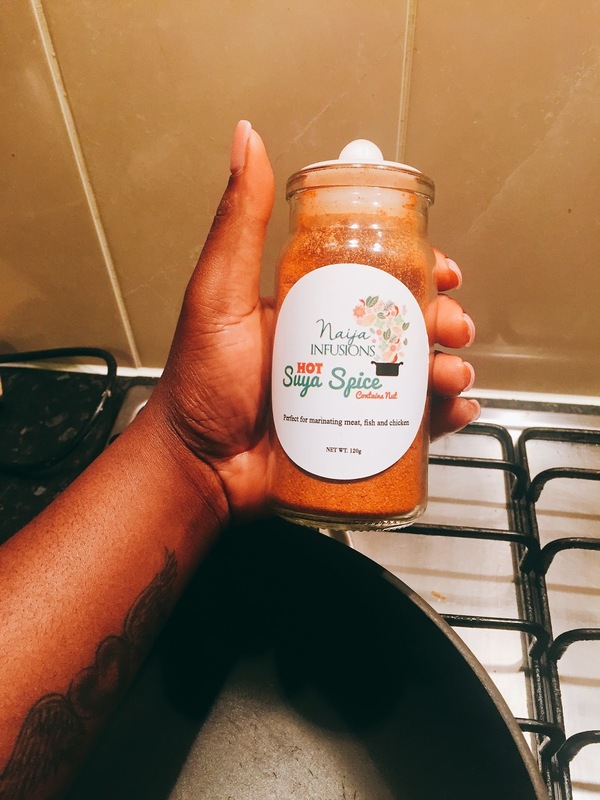 Naija Infusion spice has worked very fine for me, I love it and have no problem using it. 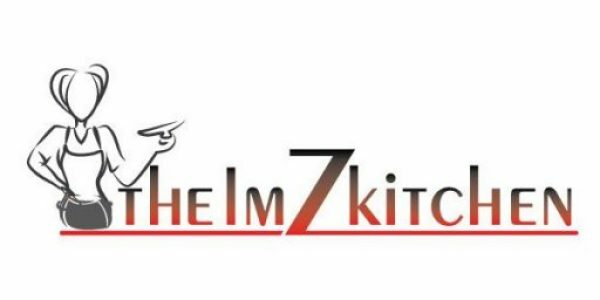 It is very spicy for those people who love their suya very very hot. It is the one for you. This is not a paid review I am 100% honest.